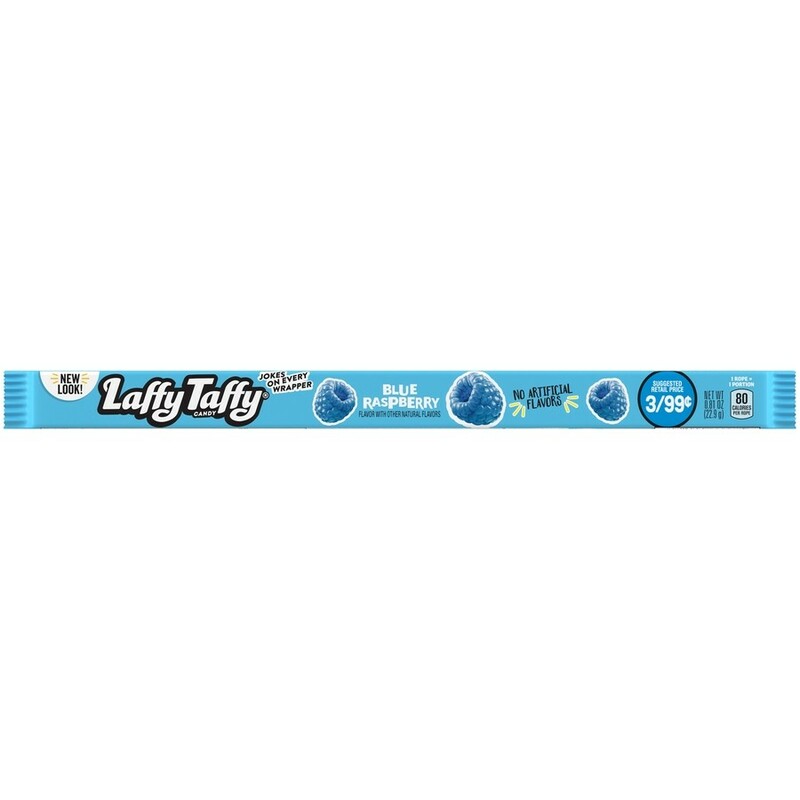 Laffy Taffy Rope Blue Raspberry (24 Count) from Nestle, strips of tasty, chewy, blue raspberry taffy twisted into a delicious rope. A fun treat for any time. Kosher Parve. 24 individually wrapped candy ropes in each order.